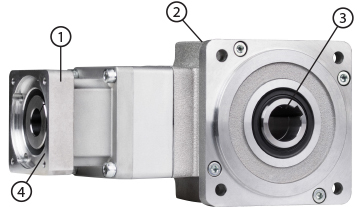 The NEV right angle gearbox is the ideal solution for servo or stepper applications running primarily in one direction. With 30 arc-minute backlash, the NEV is an excellent cost-effective, compact choice for applications such as conveyors, where positioning is not as critical. The NEV is often used in situations where our customers upgrade induction duty motors to servos. The price point of this product helps OEMs control costs, especially when updating several axes on one machine. The performance, efficiency and footprint of the NEV allows it to outperform helical bevel or worm gearboxes in a similar class. The NEV has a lightweight aluminum frame with either a hollow or solid output shaft configuration. 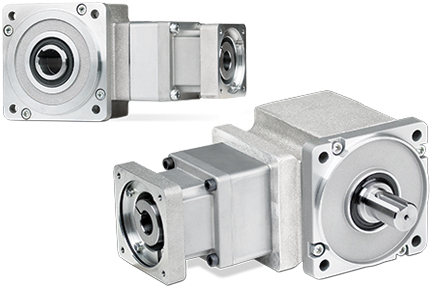 It can handle motors ranging between 50w and 3.5kW, achieving nominal output torque ratings ranging between 6 Nm to 90 Nm. Four frame sizes and ratios between 5:1 and 105:1 are available, as well as various wash down options, making this product ideal for applications in food & beverage.